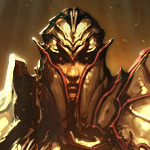 Welcome to the Diablo 3 Followers Guides! Looking for free guides on Diablo 3 followers? Each Diablo 3 follower guide contains a information about the lore of your follower, their gear, their skills, and which follower you might want to choose based on your main character’s class. 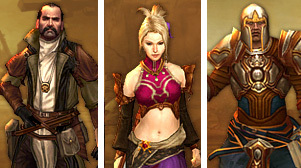 Followers act as your NPC leveling companions throughout the single player version of Diablo III. You can use your follower throughout all four of the difficulty modes Normal, Nightmare, Hell and Inferno. Each of the three classes of followers have different strengths and weaknesses and can be specced in a variety of ways depending on your needs and gaming style. Followers cannot die, rather when they are low on health they will simply become incapacitated for a short period of time before rejoining the fight. Rather than needing to level and gear your followers, they will be automatically increased in level and gear as your main character levels up. This occurs regardless of whether or not you are currently using the follower during your adventures. Even if they are back in town, once you fetch them you will find that they have increased in level and gearing. 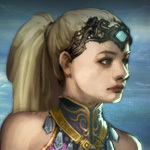 Followers can have a total of 12 skills, which they receive at levels 5, 10, 15 and 20. However, they can only have four skills active at one time, so choose wisely! Content – What type of enemies will you be fighting? Hordes of low level demons or one large boss? Will you be in close quarters or out in the open? Is the content difficult? Do you need heals, or will you be better off with more DPS? Class – Look for a follower that will complement your main character’s class. Ideally you want a follower that makes up for your weaknesses. For example, a templar tanking follower would make a great complement to a squishy wizard caster that prefers to avoid being in harm’s way. Likewise, a demon hunter may not need the additional ranged weapon dps offered by a scoundrel…etc. Customization – Consider your play-style. What type of follower do you WANT to use? Do you love the benefit of a templar’s heals, allowing you to be a bit more reckless with your game-play? Or would you rather take the strategic route and use an enchantress’ crowd control abilities to systematically incapacitate and destroy your foes? Is there a certain follower that you think just plain looks cool? Sign up below for your free Diablo 3 Killer Leveling Tips mini-course! This enchantress leveling guide is a detailed strategy guide outlining everything you need to know about the enchantress class to make your Diablo 3 leveling easy and fun! This scoundrel leveling guide will teach you everything you need to know to get started using your scoundrel follower for fast, easy Diablo 3 leveling! This templar leveling guide contains the best tips and strategies for making the most efficient use of your templar follower in Diablo 3! 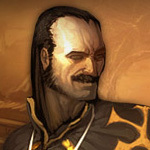 Signed up for your free Diablo 3 Killer Leveling Tips mini-course yet? Enter your email below to get instant access!